Organic expert Dr. K R Hullunache Gowda is a post graduate in M.sc (sericulture) comes from agriculture background from Kolar district. 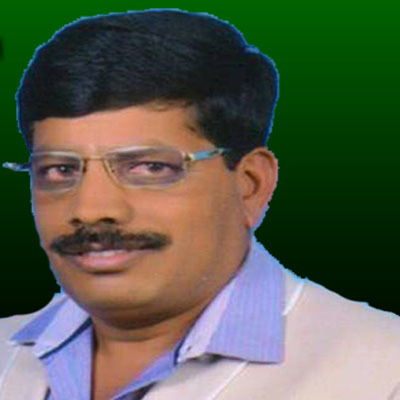 After completing his education, he initially started his career as lecturer in Chikkaballapur First grade college. He was not really satisfied with his work and wanted to contribute in agriculture sector, due to various problems in our farming community. Since many decades our countries usage of chemical fertilizers have always increased day by day. Farmers are not aware of the consequences by using these deadly fertilizers will not only effect their life’s and everyone consuming the same. Even today after so many developments in our technology, farmers are not getting the right to information which is their basic rights. Farmers usage of such deadly chemicals neither to get more yield nor to protect them from various diseases has affected the human race with risk of killer diseases such as Cancer, Diabetes, Blood Pressure, heart diseases, Increasing of cholesterol level, Liver - Kidney problems etc. This world is witnessing this problem everyday but no one is really taking any measures nor raising this issue publicly. He wanted to change this conventional way of farming to organic way of farming. Initially he did a lot of research on various methods of organic farming. Later he realized that we can grow every crop without usage of any chemical fertilizers what so ever. He learnt many techniques by doing research and he implemented them to many farmers across the state. Farmers have been successful using these organic techniques for all the crops in almost every district of Karnataka. It was a very difficult task in the beginning to make farmers understand, however once he was successful many farmers also wanted to be part of organic revolution. He has travelled 1000s of villages in Karnataka, met lakhs of farmers, held meetings and worked on field to educate them. Though being a popular personality, he still gets to the field and works if necessary. Being born in an agriculture background family has given him that simplicity nature. Thejesh Bychappa, as Executive Director, sets and evolves the strategic direction for the company and its portfolio of offerings, while nurturing a strong leadership team to drive its execution. Thejesh has a strong track record of driving digital transformation for enterprises, executing business turnarounds and managing successful acquisitions. He Holds the Master in Computer Application, but intrested in Agriculture field and happy to serve the farming community.